The winery’s first vintage was in 2012, produced by a husband and wife team from nearby Catania, Mimmo and Valeria Costanzo. Costanzo is one of the biggest names in construction and renewable energy in Sicily and beyond. Much like our friends from Cantine Valenti, it was a love for Sicily and specifically Mount Etna that drove Mimmo and Valeria to invest here. Now there is plenty of money being throw around on Etna, and everyone seems to want a slice of the action. Despite their status, however, the Costanzo’s are committed winemakers. They have learned from the ground up, like so many who decide to enter into winemaking later in life, and are not afraid to get their hands dirty. Their idea is to create a micro production of up to 30,000 bottles of wines made naturally that respect the traditions of Mt. Etna. What’s admirable about this family is their desire to have their hands in every step of the production. This isn’t a hobby for them, but rather a new way of life. In 2011 Mimmo and Valeria purchased and renovated Palmento Santo Spirito in Castiglione di Sicilia. This palmento (winery) was built over 100 years ago. 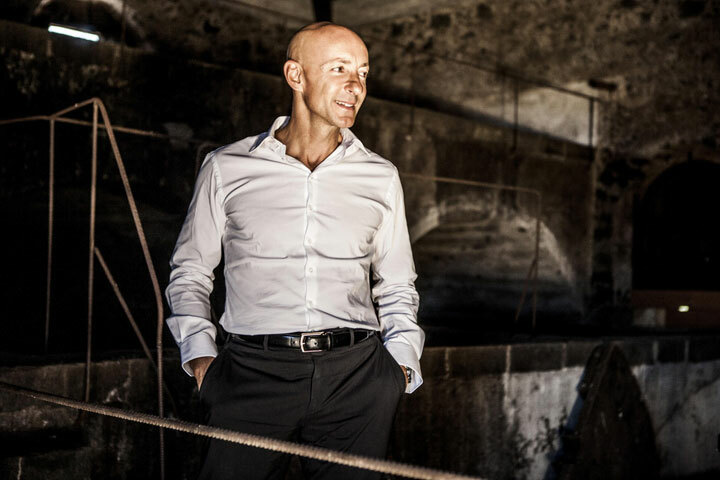 Like many of his colleagues on Etna who have done similar work, Costanzo maintained the integrity of the existing building, while adding state of the art winemaking equipment and temperature control. 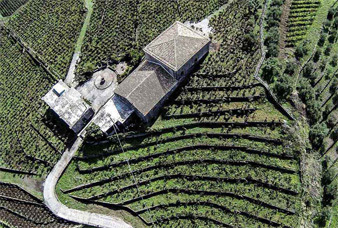 In total there are 12 hectares at the farm (10 planted to vine), most terraced vines that reach up to 800 meters in the Santo Spirito cru, in Passopisciaro. These 10 hectares are planted to albarello vines using chestnut support polls, which is how things were done historically on Mt. Etna. There are over 60,000 albarello vines on the property ranging from two years old (Mimmo and Valeria had to replant a good chunk of the vines when they purchased the property) to 100. 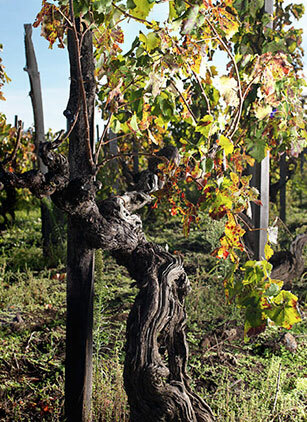 These albarello vines are not in the perfect rows that we are used to seeing in other parts of the world. There’s a plant here and a plant there, in total there are about 8,000 plants per hectare. This “confusion” does not allow tractors or machinery to pass through, meaning everything has to be done by hand. This forces Mimmo and Valeria to be completely subject to the rules of nature, just as they like it to be! The two principle grapes produced at Palmento Costanzo are Carricante and Nerello Mascalese. There are small plantings of Nerello Capuccio, Cattarrato, Trebbiano and the Etna native Minnella as well. In Santo Spirito, you have a portions of very rocky terrain, volcanic rocks of course. For the most part there is a concentration of 70% volcanic rock, sand or ash, with occasional pockets of clay and more traditional sand on the property. Mofete is an important volcanic activity that occurs on Etna, an emission of gas from some of the deepest fissures in the volcano’s crater. 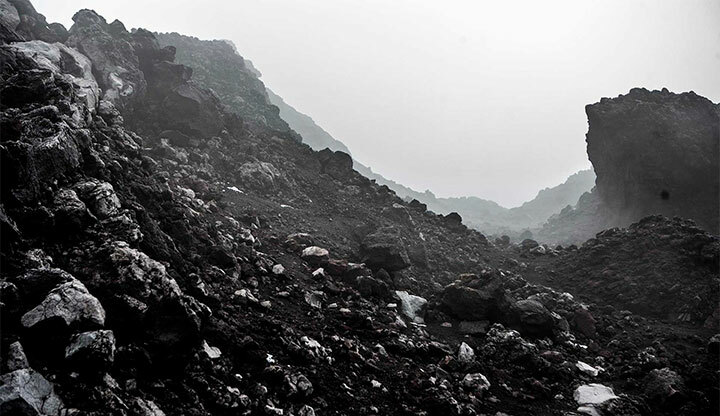 With all of this wild activity and such a recent resurgence in winemaking on the volcano, Etna Bianco is a category that is still coming of age. It’s difficult to find wines that truly live up to the potential of this incredible terroir. This wine absolutely does in my opinion, having the mineral driven back bone you would expect from a great Etna Bianco. 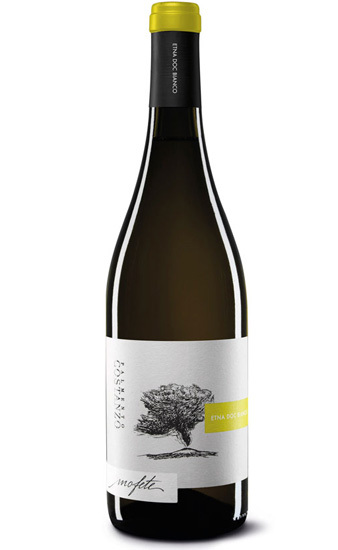 There is a depth of orchard fruit and a creamy texture that make this wine irresistible. I often find that Etna Bianco can have racy acidity or a feeling of not quite coming together at a young age, but the Mofete 2015 certainly does not have that problem. Grapes are harvested by the middle of October. 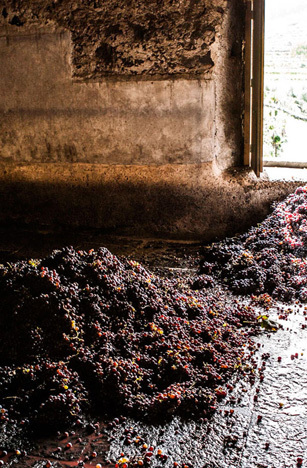 There is selection both in the vineyard and at the sorting table before crushing. The wine ferments naturally at a controlled temperature of 64 degrees. Malolactic fermentation is partially completed. The wine ages in stainless steel for 7 months, with about 4 months on the fine lees. Floral notes and red fruit abound here, as you may now expect from Etna Rosso. The tannins are firm but there is nice acidity to finish. 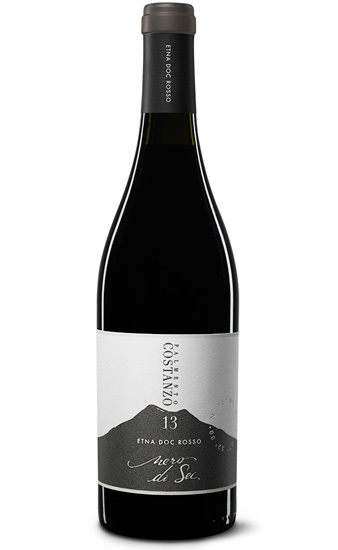 Expect an elegant mouthful and notes of cherry and cinnamon, as well as the minerality that great Etna can possess. Grapes are harvested in the middle of October. Average yields tend to be around 55 hectoliters per hectare. The wine ferments spontaneously under a controlled temperature. Total maceration time is around 12 days with pumping over about twice per day. The wine will then be racked into stainless steel where it will undergo malolactic fermentation and rest for about 3 months. 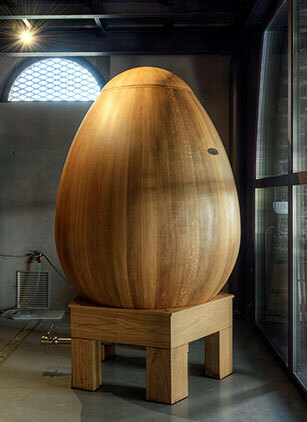 The wine spends 6 months more in concrete vats and two years in the bottle before release. Nero di Sei is an ode to Etna becoming the sixth Unesco World Heritage Site, and even contains actual volcanic ash within the label! Such a different profile than the Etna Rosso from Cantine Valenti, this unique profile is what drove me to bring on more great wine from Mt. Etna. This wine is thicker, darker and deeper. It’s crunchy with notes of balsamic and a tannic bite that works harmoniously with the fruit. Grapes are harvested by the middle of October. Average yields are 50 hectoliters per hectare. This wine is a selection of grapes at 700/750 meters. There is a selection both in the vineyard and on the sorting table for this wine. The wine ferments naturally at a controlled temperature. Total maceration time is around 20 days with pumping over occurring about twice per day. The wine is then racked into 3rd passage French tonneaux, where it will age for two years. From here, it spends one year in the bottle before release. Headed to Sicily? Treat yourself to Palmento Costanzo’s Wine Experience!